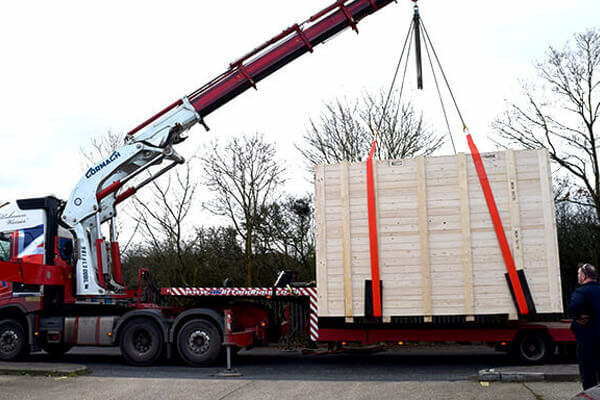 DriveTrain Solutions Ltd now offers ALLMI Training (Association of Lorry Loader Manufacturers and Importers) accredited instruction in the safe use of lorry loader mounted cranes. This training also known as Hiab training (although Hiab is actually a manufacturer of cranes) will give the candidate the knowledge and confidence to deliver goods safely and effectively via the use of a lorry mounted crane. Upon successful completion of the course each candidate will be issued with a Certificate and a licence that needs to be carried on all deliveries. DriveTrain Solutions Ltd, purveyor of Certificate of Professional Competence (CPC) Training, is now offering Association of Lorry Loader Manufacturers and Importers (ALLMI) accredited instruction in two key areas: lorry loaders and slinger/signaller. The successful completion of either of these training courses communicates that you are at the top of your field with these certifications. ALLMI is the only accrediting body to offer an Operator course specifically for lorry loader training. The ALLMI is perhaps the most sought-after lorry loader certification. ALLMI delivers unrivalled and comprehensive technical and legislative support for its accredited instructor network, as well as all operators carrying the ALLMI card. It is in a league all its own as no other accrediting body can give the level of advice and guidance in relation to lorry loaders that ALLMI can. Rigorous, accredited and audited training is the backbone ALLMI scheme, in addition to the demanding testing process operators must successfully complete. This specialised training will provide each candidate with the necessary knowledge and confidence to deliver goods safely and effectively with a lorry mounted crane. The course in delivered in 15 modules and can be completed in one to two days. It is appropriate for both novice and experienced lobby loader operators. After receiving training, a written and practical examination will be given. ALLMI sets the assessment process. Candidates can expect two theoretical assessments and one practical assessment. Theoretical assessments are made up of both multiple choice and open-ended questions, and will also include questions that specifically involve a knowledge of which crane attachment is being used. The practical assessment measures if the candidate has the skills needed to operate a lorry loader safely and correctly. Once a candidate successfully completes the course, he or she will receive an identity card, certificate, and the AALMI manual, and will be then registered on the ALLMI Operator database. The identity card and certificate will include the categories for which the operator is licensed. These categories include are distinguished by attachment, capacity of the loader, remote controlled loaders and various specialist applications. The certification is good for five years. After five years are up, operators will be expected to renew their credentials with refresher training and assessments. The identity card and certificate are good for five years, upon which, a refresher course will need to be taken and assessments will be given. Certifications from ALLMI hold a high value in the goods delivery market. When you show your ALLMI card, you are telling employers and colleagues that you have undergone timely and expertly crafted training, which you have applied both in theoretical and practical ways. You are an efficient worker who makes safety a priority. This makes you an asset to every team with whom you partner. For more information about ALLMI Training.